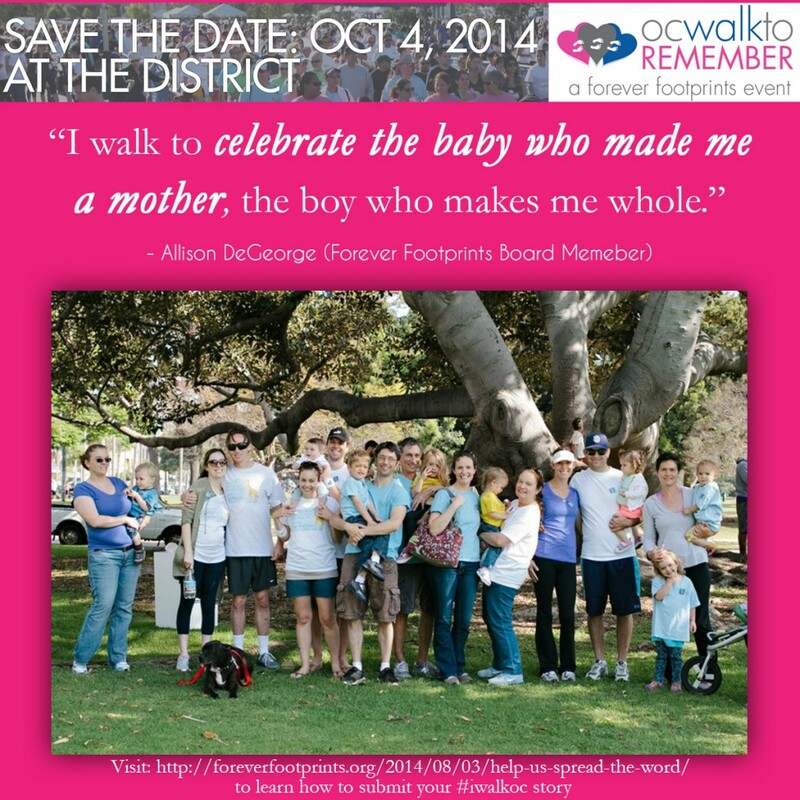 This year is our 10th annual OC Walk to Remember and we want you to help us spread the word about the walk! 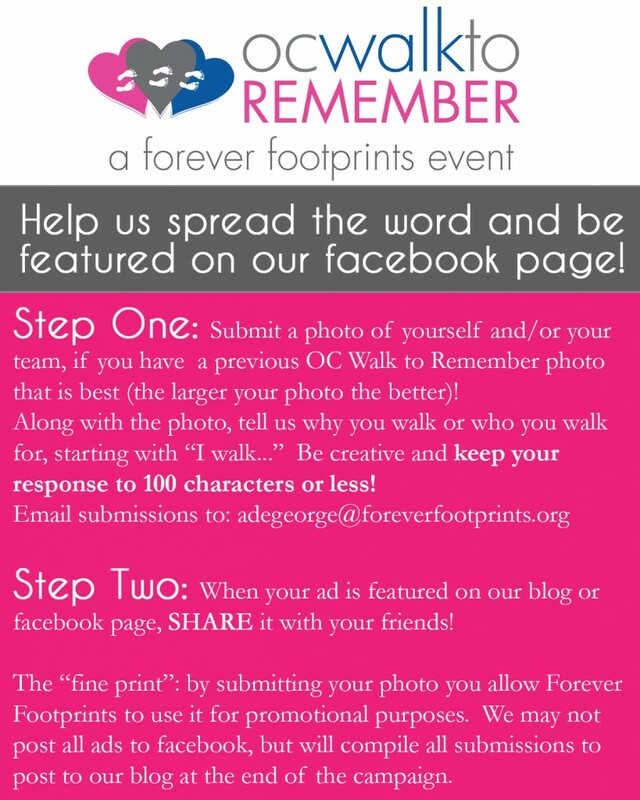 We are launching a new walk campaign and in just a few simple steps our campaign will feature your photo and a brief story about why you walk. Please just review the directions and example below and don’t be shy- we would love to hear from you! Below is a sample of what these ads will look like, so please be sure to follow the length requirement (100 characters) so that it will fit in our design, otherwise we will regrettably not be able to use your submission. I walk for my sweet baby boy Colt Flynn Bennett. I carry his heart and walk for the steps he’ll never take. I walk for my daughter Goldie.